The miners will be the sole responsibility of the parents. Home 17h00-20h00 (for late arrivals thank you prevent). Rooms are available from 17.00 and must be vacated by 11:00. Breakfast is served from 7:30 to 10:00 in the dining room or in the garden in summer. Please note that all special requests may result in additional charges. Please note that the outdoor pool is open from 1 April to 1 October and that guests are required to sign a liability waiver upon arrival. The pool is not supervised. Note that it is forbidden to eat and smoke in the rooms. Picnics are also prohibited on the property. 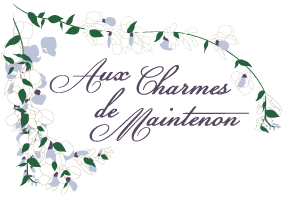 Please let Maintenon Aux Charmes in advance of the time you plan to arrive. You can specify this information in the “Special Requests” during booking or contact the property. Contact details on your booking confirmation.